It is not a new version of what is now called Omeka Classic. It is a brand new software, although it shares with its predecessor the same ambition: being both a content management system for libraries, archives, items, and a publication system to ease the access to these items. Omeka S brings an important set of new features: first of all the semantic data management, that is the ability to describe your items (in my case cameras and lenses) in a way that lets you share them easily. To be honest this major feature is mainly aimed at cultural institutions. So next, and more interestingly, while an Omeka Classic installation let you manage one single public site, this new version offers the ability to create an unlimited number of showcase sites as sub-domains sharing the same data. You can on a single install manage several collections (cameras, but also vintage phone cards, because why not?) and then showcase them apart. Better still: you can showcase your whole collection on one site, and save another specific presentation site for a subset (specific maker, era,…). Let your imagination run wild. Finally, and most importantly, Omeka S handles dynamic links between content, opening a world of possibilities for presentation and advanced navigation: on an item page, you can insert links to other items sharing a same property. This is mostly what I was wishing for when I wanted a way to list compatible lenses for a camera, or list a manufacturer’s cameras on a single page. Omeka S has an administration back-end site where you’ll do most of the management tasks for your collection. Your can also manage showcase sites and users, but this not necessary, nor mandatory. Item sets in Omeka S are optional. But they are a clever way to group your resources. One of my resource models, here for the camera resources. Once created, items can be browsed by date created, item sets or using the advanced search feature. One of your fist taks will be to configure your item sets. These are simply your collections, where you’ll be sorting your items. I, for example, created 2 collections: cameras and lenses. A collection has a title and a description that helps define what you want to store inside, but nothing restrictive for later use. Also note that the creation and usage of item sets is completely optional. Your items can live and you can browse them outside of item sets. This is only about good practice and will eventually help you in building your showcase sites with Omeka S.
Your next move will be to define one or more resource templates. This is when you’ll have to wonder: what information should you store in each item of your collection? A resource template is a list of data (properties, attributes, etc.) you will select and order to create a form template. For my own cameras, I created a model that includes attributes such as name, maker brand, camera type, a description, photographic medium and format… I created only one template that includes most of the data I need. You’ll be able to add another attributes at a later time, so do not be afraid to start simple, without looking for absolution exhaustiveness. Typical case: properties that are a bit exotic, shared by a very few elements, can be included in the description field. Once your items sets and resource templates created, you are ready to create your individual items! Click the “Add new item” button, then select the resource template you just created: the list of properties appears on screen. Let’s go! 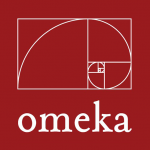 Finally, the most interesting: another resource on your Omeka install! You can select an item previously created, or even an item set. Once this link created, Omeka will provide a way to browse both ways between your new item and the other. In my case, I created individual items for manufacturer brands in my camera collection. When I fill the “maker” property of a camera with this resource, I’m able to browse to the maker page that lists all cameras and lenses sharing this brand. Here, a page lists all cameras and lenses linked to the ‘Nikon F mount’ resource. Links between resources enable to list all items where I filled the manufacturer name with the resource ‘Canon’. To complete your attributes, Omeka lets you upload any media you wish for: images, PDF documents, videos or sounds, etc., that will then be listed on the item page. Finally, the last tab of the new item form will let you select the item sets in which you intend to list your newly created item. The admin control panel offers an advanced search feature for any property you filled up in your items pages. A dynamic form lets you add any number of criteria, and precise search conditions are also available. From there, the software features list is already comprehensive when it comes to collection management. You can stop there if your items must remain private. But if you wish to render all or part of it on a public showcase, you will need to configure one or more sites. Without going into too much details, you can choose what contents your site will showcase, but also define the whole browsing configuration, create dynamic pages including text, items sub-sets (using search queries) or even single items. Finally, themes are available (e.g. The Daily, shown below) and fully customizable to modify sites style and content. Some are designed for mobile use. There is something for everyone. I did not talk much about vocabularies in Omeka S. The most meticulous of us will be able to create and import in Omeka S a set of custom properties. This is possible using tools like WebProtégé (free). This is useful to easily find your attributes (e.g. in search forms), but totally optional. For users who do not strive for sharing their collection with a museum, you can disregard this advanced configuration and instead use the default vocabularies offered in Omeka S: Dublin Core should give you all you need to describe your items. Omeka Classic had pitfalls that led me to some discouragement, but Omeka S and its new features made everything clever, fast and simple, and finally helped me catalog my whole personal collection. I’ve been able to make it evolve on several occasions: new items easily added from mobile, new properties (and ways to search for items lacking some), site customization, and I’ve even developed a module in order to restrict access to private collections! Thanks for reading to the end of this (long) article. If you have questions to help you start documenting your own collection, cameras or other, do not hesitate and ask in the comments. Please share the article on social media if you find it interesting enough, and have a nice day! 05/01/2018 update: I’ve made a small demo site available, click here! It’s based on my own collection data, and I’m preparing a “best practice” article that will explain how to configure Omeka S with all or part of your collection remaining private. Hi Laurent, Nice post. I like Omeka S as well and have been testing it at work (academic library). I’ve been wondering about experimenting with it for a personal image gallery site but thinking it might be overkill, or themes would need more customization than I know how to do. Is there a link to your ‘live’ site itself? I couldn’t find one in the article. Thanks! Hi Carl, and thanks for your nice comment. I’ve built my Omeka site so that my collection remains private, and I’m preparing a short “best practice” article on how to do so. You’ll see The Daily theme has a nice carousel view. How your images will display is totally dependent on the theme applied.